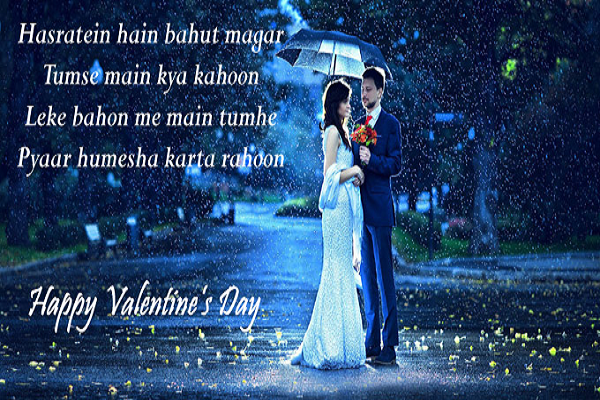 Happy Valentine's Day Shayari in Hindi 2019, Valentine Day Romantic Shayari, Valentines Day love status, beautiful Valentine's Day images for Girlfriend, Boyfriend and Lovers: Valentine's day every year falls in the month of February on the 14th day. 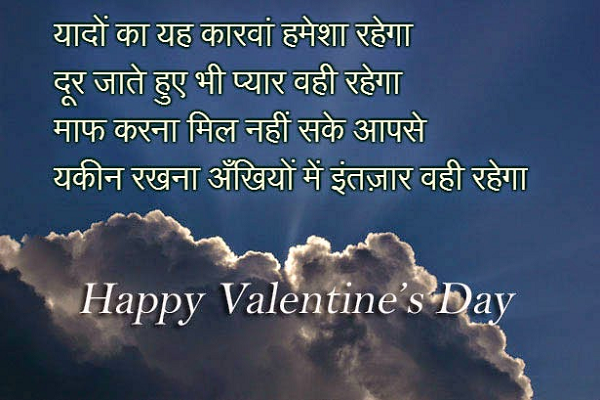 Make this Valentine's Day to your special ones by greeting them with these Hindi wishes, messages and wallpapers. 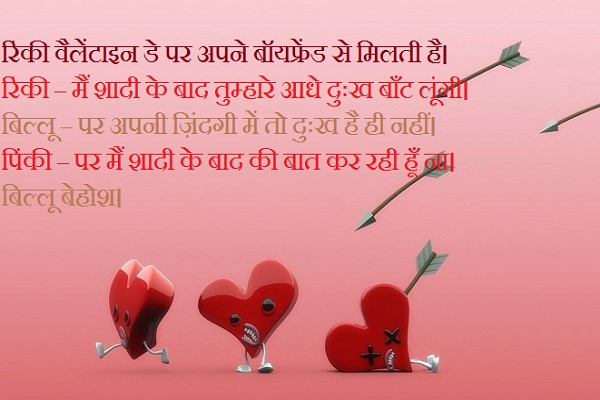 The Valentines week is the week of lovers and it falls every year in the month of February. 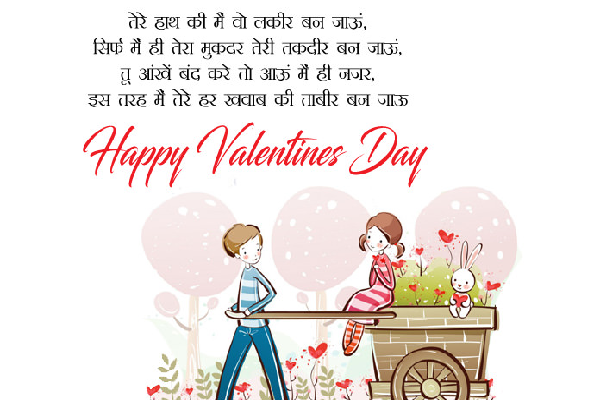 It consists of 8 special days, namely Rose day, Propose day, Chocolate day, Teddy day, Promise day, Hug day, Kiss day and the most celebrated Valentine’s day. 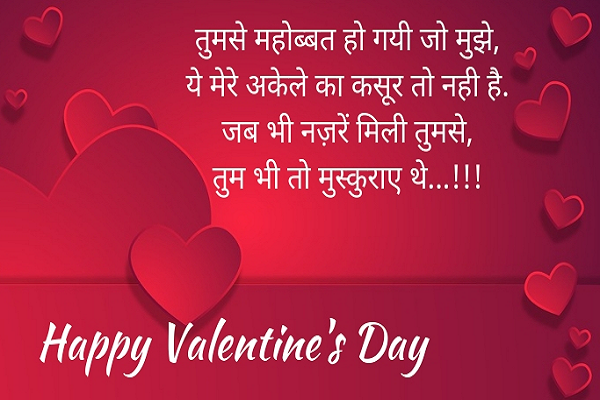 Now it’s time for the celebrations of Valentine’s day. 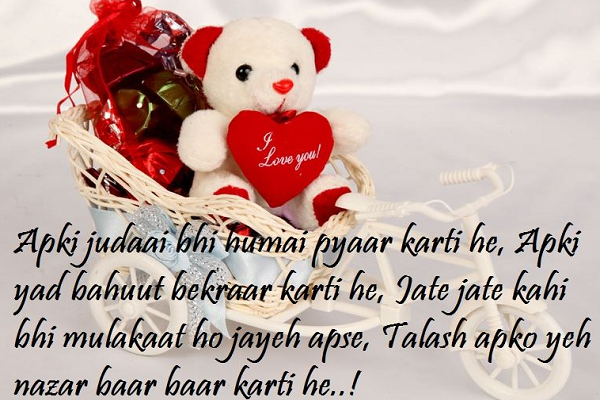 It is celebrated globally and youth enjoy it a lot as this is one of the most special days for many people. 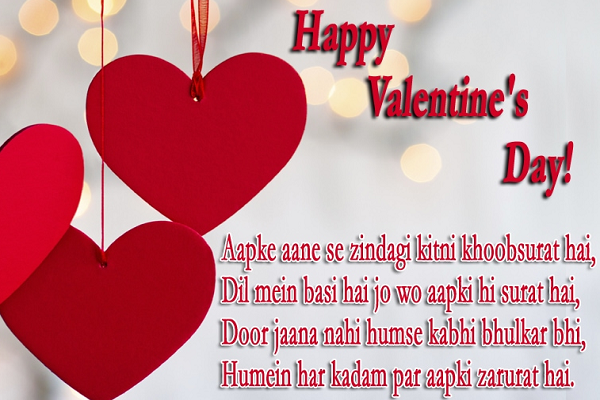 To make this valentine day special for your partner you can add up a romantic surprise for them as it will make this day one of the most adorable and cherishable one for your boyfriend, girlfriend, husband, wife or lover. 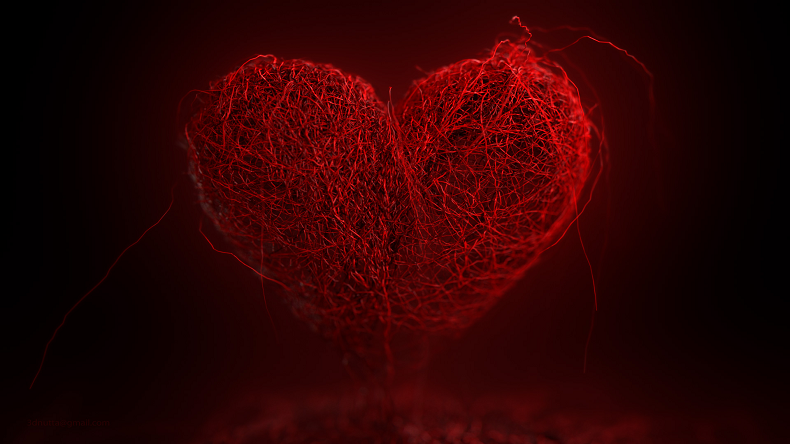 You can take your partner to a candlelight dinner on this Valentine’s day in order to make it a memorable one and you will get a lot of private time with each other. 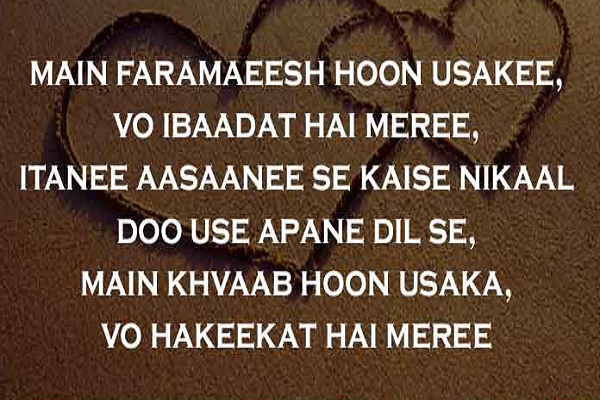 You can make it special just by decorating your room and make a cake or something they like. 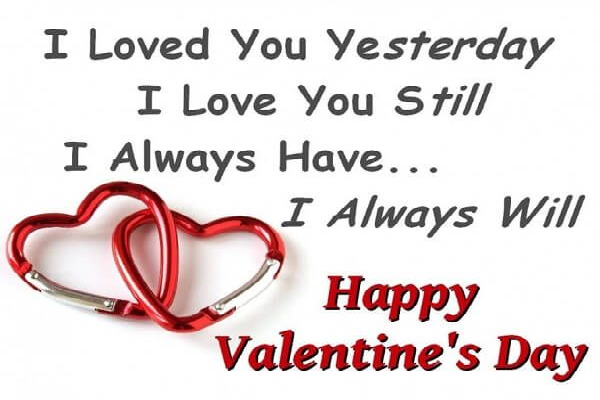 This will definitely melt their heart and will be one of the most memorable Valentine’s days of their life.